The dinosaur fossils will be returned to the reservation, and one of the researchers Michelle Stocker from Virginia Tech wrote a letter apologizing to the tribes. Northern Arapaho Tribal Historic Preservation Officer Devin Oldman said that this situation was avoidable. 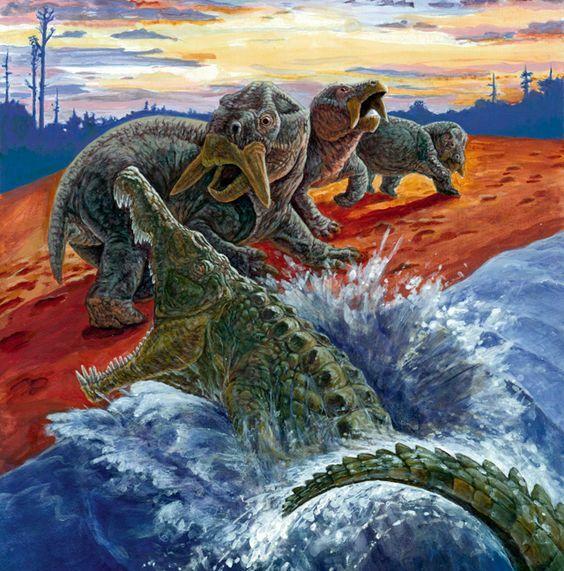 The dinosaur is thought to have lived in a giant lake that used to be in central Wyoming. The fossils were pulled from around Bull Lake on the Wind River Indian Reservation. Northern Arapaho Tribal Historic Preservation Officer Devin Oldman says that the researchers should have gone through the Bureau of Indian Affairs and set up a consultation with the Preservation office. Instead, Oldman says they got a trespass permit, which they thought gave them permission to exhume and take the bones. Now, the researchers have apologized and agreed to return the fossils to the reservation. Oldman says the tribes are glad things worked out this time but often such cases don’t, and that undermines tribal sovereignty. The Bureau of Indian Affairs does not intend to take legal action. The Northern Arapaho and Eastern Shoshone Tribes recently held a conference to empower their community to stand up against drugs and alcohol. On November 2, a war staff was passed to the Wyoming tribes of the Wind River Reservation by the Crow Tribe of Montana. The tribes believe with prayer and the creation of the war staff, paired with an event such as a conference, they can help address addiction, safety, and community healing. Sunny Goggles Director of the White Buffalo Program said further education about drugs and alcohol is important. Large crowds turned out for the grand opening of the new Native American Education, Research and Cultural Center on the University of Wyoming campus. Eastern Shoshone elder Stanford Devinney blessed the new center with a prayer while the building received a cedaring ceremony from Northern Arapaho elder Crawford White.